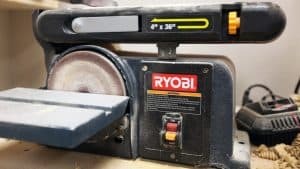 I bought this Ryobi Belt Sander in early 2013 from Home Depot. I was doing a lot of PVC projects at the time and needed a way to round over and smooth the edges of small sections of PVC pipe quickly. This belt sander did the trick. To be frank it is under-powered and pretty low quality. It’s not the best belt sander (also a disc sander) but it does get the job done in most cases so it’s hard to complain too much. Eventually I will replace this unit with a separate 10″ disc sander and stand alone belt sander. Bu that’s definitely not on my priority list. 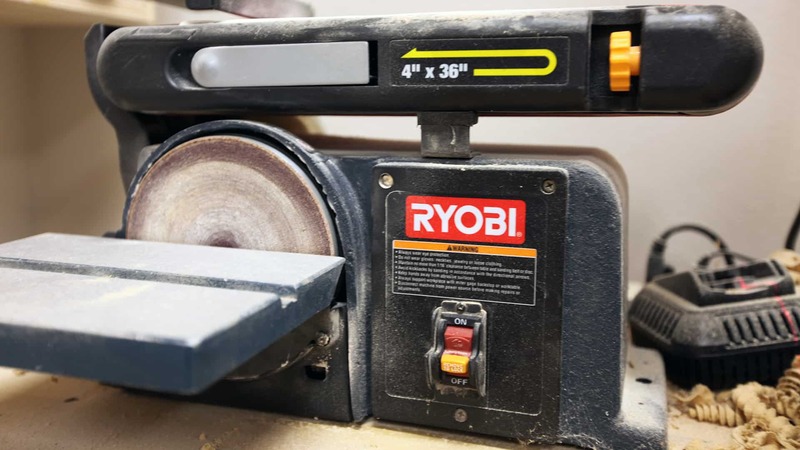 A drum sander and a spindle sander would both help me a lot more than a replacement belt sander. So at this point I’ll keep it around the shop, at least until I kill it from overheating it constantly.